Simply decorated rooms equipped with modern amenities situated just so for ease of travel. 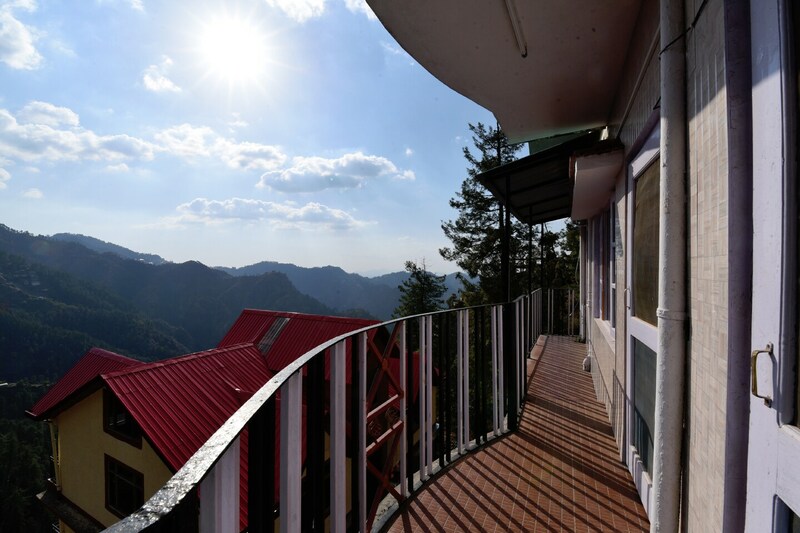 Located on Mashobra Road, Shimla, Snow Flake Cottage is a quaint looking place with a warm interior decor and a relaxing ambience. The bedrooms at the cottage have a simple and sober decor with light colored walls and dark wood furnishings, keeping the ambience of the rooms warm and bright. The rooms lead to an open corridor from where the guests can sit back and take in the scenic view of the magnificent mountains and the valley. An in-house restaurant, a seating area and a dining area are present at the hotel for the guests to avail the use of while staying there. The hotel provides its guests with free Wi-Fi so that they can remain connected with the social world and not miss out on any important update. Other amenities offered by the hotel are a geyser, parking facility and CCTV cameras. Tourist spots such as Green Valley, Watch Tower, Trans Himalayan, and Apple Point are located in close proximity to the hotel.